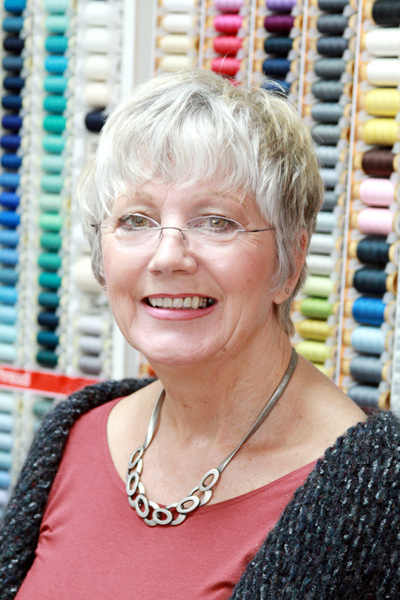 Sue Slattery opened Sewability Sewing School in December 1997. It was one of the first sewing schools in the country. Sue had been teaching City and Guilds Fashion and Design in East Birmingham and Solihull Colleges and realised that they were restricted to exam syllabuses, where her pupils really wanted to do their own choice. After working for Janome Sewing Machines she also realised that most people did not know how to get the best results from their sewing machines and overlockers. Sewability was just a dream then. Following a business dreams competition, in which Sue came second, she was helped to bring her dreams into fruition. Sewability today is just as Sues dream pictured it, lots of like minded ladies coming together to make beautiful clothes in the perfect environment. Sues high standards have not put ladies off, as she discovered, but they are welcomed. People want to make professional looking garments that do not look homemade.